ThinkGeek is an American online retailer that caters to computer enthusiasts, where consumers can purchase a variety of electronics, gadgets, apparel, and toys that any “geek” will love. With Big Apple Buddy’s personal shopping service, you can now buy direct from the USA ThinkGeek online store anytime, anywhere. 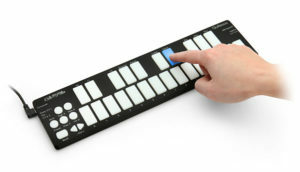 The QuNexus Smart Sensor Keyboard Controller is a light-up, drum-pad-style keyboard controller that is ready to rock. This durable and portable keyboard has smart fabric under each key which allows for complete gestural control. With both velocity and tilt sensitivity, this keyboard allows users to add vibrato and pitch blend with just a wiggle of their finger. The keyboard is rubbery and compact, which makes it really easy to travel with and also protects it from any spills or accidents. And the keys even light up when you use them, which adds a little bit of extra fun to this already awesome keyboard! 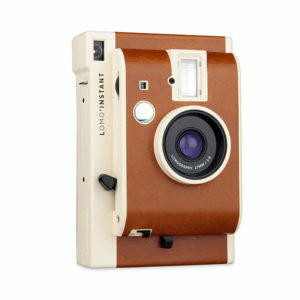 Another cool gadget you can purchase at ThinkGeek is the Lomo’Instant Sanremo Camera. This camera will help you unleash your inner photograph and remind you of the old days, before digital cameras. Instead of having all of your photographs and memories stored on the sim card of your digital camera, this Instant Camera allows you to have an immediate print of your photograph in just minutes! This camera allows you to experience the glory of film that has gone through the development process without having to deal with the lengthy experience of the traditional development process. This camera allows you to hold your developed photograph in minutes, and you’ll be endlessly entertained by all of the artsy things this camera allows you to do! Capture your memories in an entirely new way with this instant camera. 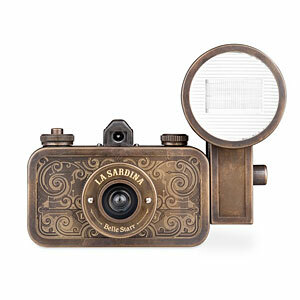 If you’re looking for an even more unique camera, then you have to check out the La Sardina Camera and Flash Belle Starr. This 35mm camera has an exterior made from oxidized brass and finished with intricate etchings and engravings. This is a product that steampunk photography lovers will go crazy for: it allows you to take photographs like they did in the Victorian era, without all of the explosive chemicals and having to sit still for hours. It also comes with a bunch of fun, modern features: like a flash with 3 distance settings and 4 color filters. Experience a whole new kind of camera that allows you to combine the benefits of photography in the Victorian and the modern eras: all your friends will be jealous of this hip and funky camera! Unfortunately, the USA ThinkGeek online store does not currently offer international shipping. However, Big Apple Buddy, your personal shopper, can help you buy products direct from the official USA ThinkGeek online store and ship them to your doorstep, no matter where you are in the world. We offer international shipping to over 190 countries including Australia, Austria, Bahrain, Belgium, Bosnia & Herzegovnia, Brazil, Brunei, Canada, China, Croatia, Cyprus, Denmark, Estonia, Finland, France, Germany, Hong Kong, Hungary, India, Indonesia, Ireland, Israel, Italy, Japan, Kenya, Kuwait, Lithuania, Macau, Malaysia, Maldives, Mexico, Namibia, Netherlands, New Zealand, Norway, Oman, Pakistan, Philippines, Portugal, Saudi Arabia, Scotland, Serbia, Singapore, Slovenia, South Africa, South Korea, Spain, Sri Lanka, Sweden, Switzerland, Taiwan, Tanzania, Thailand, UAE, UK and Ukraine. If you would like to buy from the USA ThinkGeek online store, simply let us know which items you would like to order (by filling out the form on the right) and we’ll get back to you with a free international shipping quote within 24 hours!